Heading far off the the beaten track into the deep South American rainforest. Seeing the wonders of nature, the colours and movement, hearing the sounds, and being completely enveloped in the vivid wild world. We would love to be away from it all, away from the well-trodden paths with just the jungle canopy above. Again far from both the glitzy developments and the historic ancient ruins, we would love to visit a place away from everyone and everything else. Deep out in the Sahara desert, with just the stars above. Seeing the wonders of the night sky, with stars and galaxies and planets. We would take a telescope, but would also just lie back and see the heavens turn on their eternal axis. After two remote places, here is our third. Not only far away, not just isolated, but also more difficult to get to, more pristine... and a whole lot colder. The Antarctic, surrounded by the beautiful ice and snow, watching the penguins in their unique suits and enjoying the serenity that only this isolated one-of-a-kind place can bring. Yes, all three are extremes. Places that are hard to get to, off the beaten track, away from the crowds and bright lights and human intervention. But places where we can see the true beauty of this world - the plethora of birds and animals and plants in the rainforest, the awesome heavens above the desert, and the pristine unspoilt icy world of the penguins. The only other thing we would need to add to our bucket list ... to befriend Bear Grylls and take him with us! This is our entry into the #TransunLights Blog Competition. 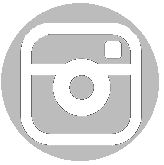 All images used are our own. We were mega excited to hear about the forthcoming release of a new Kirby game. Kirby and the Rainbow Paintbrush is exclusively for Wii U and is due for release on 8th May 2015. To celebrate this exciting news, those fab people at Nintendo sent us an amazing pack of craft goodies so we could get creative and make our own clay Kirby. Nine year old D decided to take on the challenge. He made a brilliant clay kirby figure and painted a fabulous colourful background. 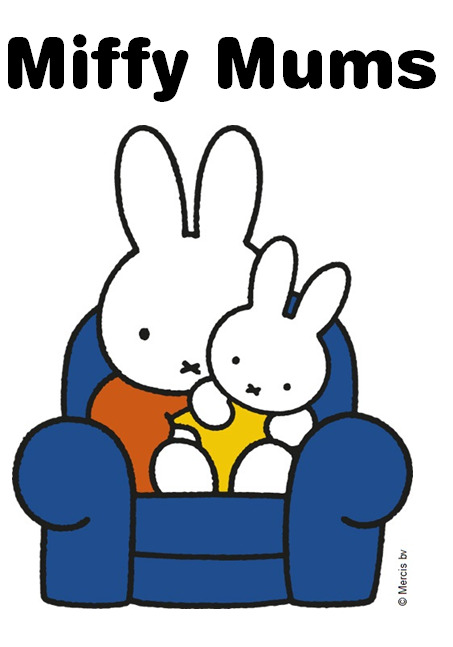 And here's a little stop frame animation that D and Daddy worked on together. In Kirby and the Rainbow paintbrush, the evil Claycia has drained Dream Land of all its colour and it's up to Kirby to put things right. You can find the trailer for the game here. And if you fancy having a go at making your own clay Kirby, Nintendo have made a brilliant video here. We really should have watched it first as there are some great tips on there to make a really professional looking Kirby. But we think D has done a pretty good job anyway. Look out for more coming on Kirby soon as we've been sent a demo version of Kirby and the Rainbow Paintbrush to try out! You may recall that we had a good Easter this year. A very good Easter. But one thing that didn't turn out too well was making our own Hot Cross Buns. I feel really glad that this was the year that we finally got around to having a go at making some. But sadly they didn't turn out quite right. It was Yen from GoodyFoodies that inspired us to have a go. When I read her first paragraph of her Hot Cross Bun post, I realised that could have been me. Good intentions every Easter but never quite getting around to it. So we decided to go for it. 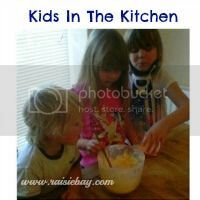 We did change the recipe slightly and used 40g of honey instead of the sugar in the recipe. But I don't think that was the problem. Miss T did a great job of kneading the dough, so I don't think that was the problem. but didn't seem to mind! However long we left them they just would not rise! I think it is because we used milk that was too hot when making the dough and it must have killed the yeast and stopped it working. We brushed them with milk prior to cooking and then with heated apricot jam once cooked. With hindsight I should have heated the jam with water then strained it as it was a bit too gunky and sticky as it was. So a few lessons learnt there I think. But that is the beauty of baking that I am discovering. Things go wrong, but you can still learn something from it. And anyway they still tasted ok....just about. You may remember us getting very excited reviewing the first ShoutyKid book last year: How Harry Riddles made a Mega-Amazing Zombie Movie. We loved that book. It was just the kind of book that my boys really enjoy reading. A fun light-hearted read that is sure to have them giggling. So you can imagine how happy we were to hear that the second ShoutyKid book was out - called ShoutyKid: How Harry Riddles Mega-Massively Broke The School. Once again written in this clever, original style of telling the story as a series of emails, letters, texts and webchat conversations, author Simon Mayle guides us through Harry's latest dilemmas and issues in life. Amongst which the impending unexpected arrival of twins in his family features, as well as a footie tournament which doesn't bode well for Harry's school. Harry's favourite video game, World of Zombies is still very much part of the storyline once again too. J and D are loving the ShoutyKid series of books. They remember their own little sister Miss T being born and so could relate to the idea of new babies arriving in the family. They both also enjoy gaming so they think Harry is pretty cool for being a gamer too. But best of all they enjoy the style of the books. Easy to read and funny. And now for the chance to get your hands on your own copy of ShoutyKid - How Harry Riddles Mega-Massively Broke The School, just fill in the rafflecopter form below. Entries will be checked. If you are not lucky enough to win, you can buy your own copy of ShoutyKid - How Harry Riddles Mega-Massively Broke The School on Amazon. ShoutyKid 3 is due out later this year! HarperCollins kindly sent us a copy of this book for the purposes of review and are also providing a copy for the giveaway. Ruby Redfort Feel the Fear...finished at last! We started reading this book before Christmas and with a whopping 57 chapters it really is a long read but we enjoyed every chapter. As we hadn't got around to doing a full review in December, we wanted to finish what we started and let you know what we thought of the whole book now we have finished reading it. In this book, Lauren Child's fourth book in the Ruby Redfort series, child prodigy secret agent Ruby feels she is totally invincible and is totally fearless. Having narrowly escaped death several times in her previous adventures, Ruby now believes that Lady Luck is on her side and that she will come to no harm no matter what. This reckless attitude gets her pulled off from fieldwork training but Ruby soon finds a way of getting back in on the action with the latest case that Spectrum 8, the top secret division that she works for, are trying to solve. She may be just a school kid but Ruby is one cool character, not just with her secret agent work but in her friendships too. We love Clancy Crew, who is Ruby's best friend. Although I don't think it has been specifically mentioned in any of the Ruby books, we have a sneaking suspicion that Clancy could well be on the autistic spectrum. As we learn more about him in each book, we just love him more and more. Many of his traits feeling familiar to us with J also on the spectrum. This book's mystery centres around The Scarlet Pagoda theatre in Ruby's home town, Twinford. Ruby uses her decoding skills to work out some answers which all build up to a nail biting finale with Ruby having to use her fearlessness, which had got her into so much trouble, to her advantage in the end. We are once again left with a few unanswered questions, leaving us hopeful of more Ruby books on the way. This book also features parkour, skitching, and a few more of those top secret spectrum gadgets and kit. With one particular item playing a very big role in the mystery. Now this may have taken us ages to read as we read a little each day, savouring the adventure. But it really is a gripping plot and leaves you wanting more. So we can't wait to find out what's in store for Ruby in the future. We are hoping for many more Ruby adventures by brilliant author Lauren Child. You can find out more about Ruby Redfort on The Ruby Redfort Facebook page or buy your own copy of this awesome book here. Thank you HarperCollins for sending us this book to review. It's the summer of 2011 and Stick and Mac have plans. Both almost eighteen, they are leaving Manchester for a new life in Spain. They've planned their extended trip, bought the barely-working car, planned the route through England, France and Spain, and everything is ready. But they haven't planned for what will happen the night before their trip - Mac is stabbed and killed. Immediately, Stick's life is changed. His best friend is gone, his plans are over and he is stuck in Manchester. We follow Stick over the coming months as the case against Mac's murderer develops against a backdrop of growing civil unrest and the building of riots in cities across the country. Stick meets J, and she seems to be the something missing in his life. But she hates the Police and the riots that are almost certainly coming to their city promises excitement, rather than anxiety, for both of them. This is a well-developed book, written in a beautifully clear way. I didn't want to put the book down, and wanted to see how the story unfolded and what became of Stick. Stick's life had not been easy and his past offers explanations for his current world view, although his own choices were his own worst enemy. The adults in his world seem to have little understanding of Stick's life or needs, which only aid in isolating him further. His life is full of anger, and I really wanted him to let go of that and live his life to the full. This is a great book, simple to read and easy to follow, but with powerful underlying story. 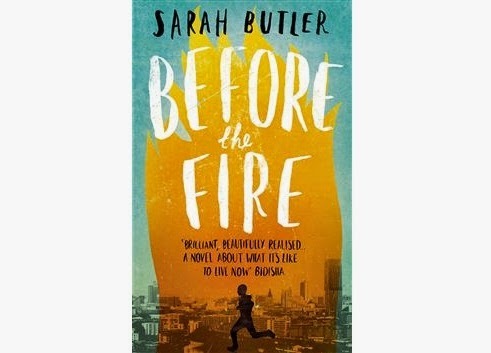 Before The Fire, by Sarah Butler is published by Pan Macmillan and is available from their website. A bit of a photo heavy post today capturing Easter memories... A few good pics of all three of them together so will be linking up with Siblings for April. Also plenty of outdoor fun in our annual easter egg hunt organised by granny and grandad so will be linking up to the next Country Kids linky and hopefully will also remember to link up with Pocolo. These contained some fantastic Easter Eggs sent by our friends at Nintendo as a thank you for being Nintendo Family Bloggers. They were personalised with the childrens names which was so lovely...Thanks so much Nintendo! The kids had great fun and were totally spoilt with lots of eggs to find. Each child's eggs are lovingly labelled by Granny and Grandad with their fave moshi monster character so they know whose is whose. And this year there was some colour coordination going on too with pink ones for Miss T whose eggs are labelled with Poppet. We hope you enjoyed our little song. We've found the Easter Holidays to be much #BetterWithCake especially with our favourite Mr Kipling French Fancies and some fantastic Mr Kipling Lemon Bakewells we found in time for Easter with a lemon curd flavour filling and golden sprinkles on top. This year Easter has definitely been #BetterWithCake. Oh and blogging is #BetterWithCake too! This recipe was entirely inspired by veg that needed using up found lurking in the bottom of my fridge. Thanks to Tilda rice sending some of the products from their latest range I was able to make even Brussels sprouts taste good! This recipe can actually be presented two ways - as butternut squash 'boats' or as a tower of rice. They kids loved it both ways. 1. Cook the Tilda wholegrain basmati and quinoa according to pack instructions. 2. Chop the peppers into pieces and peel and quarter the Brussels sprouts. Toss in Lurpak cook's range cooking liquid and cook in a preheated oven at 170c for around 35 minutes. 3. Cut the butternut squash into quarters lengthways and remove the seeds. Spray with Lurpak cook's range cooking mist. Then place in the oven (at 170c). This will need around an hour. 4. There are two fun ways to serve this. The first is 'butternut squash boats'. Form a 'sea' of Tilda Wholegrain basmati and quinoa, place a butternut squash 'boat' on top, then fill the boat with the roasted veg and serve with a slice of goats cheese. 5. The alternative serving suggestion is to scoop out the roasted butternut squash from its skin, add it to the rest of the roast veg. Then form a bed of roasted vegetables with a mound of Tilda wholegrain and quinoa on top and a slice of goats cheese placed on top of that. A simple healthy recipe to use up spare veg lurking in the fridge ( as you could use all sorts of veg as your roasted veg part of this). And really healthy too with the wholegrain goodness of the rice and quinoa. We created this recipe ourselves but you can find a lot more healthy wholegrain food inspiration in Tilda's Mood Food manual which you can download for free here. 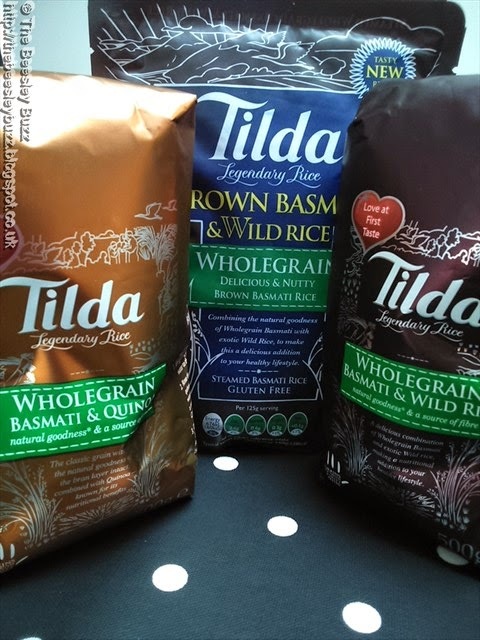 And you can see how we've been enjoying Tilda rice in our previous posts here and here. One dish - two ways to serve it! Thank you Tilda for sending some of your new range for us to try out! Striking Mums - What film characters inspire you?